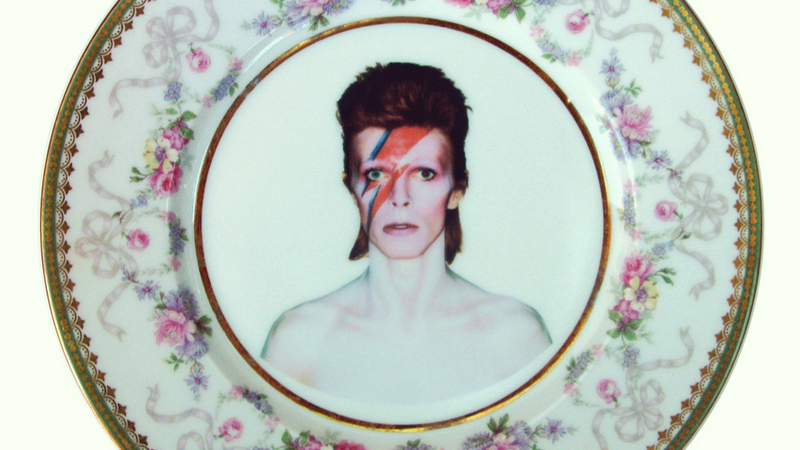 It’s not too late to invite the Starman to your dinner party. Trimmed with ornate pink and gold florals, this repurposed antique plate puts Ziggy Stardust front-and-center. Note that it’s only for show — what kind of monster would eat off this thing? Crazy about all things Bowie like us? Try creating your own Space Oddity remix in our Introduction to Music Production class today.